Our specialist core services including drywall, glass wall and suspended ceilings are all delivered by experienced teams, with specific expertise. 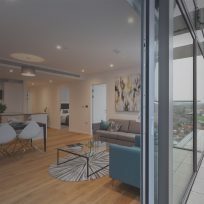 As a result, Stortford Interiors has established a strong reputation for consistently delivering these packages within the constraints of project programmes and budgets. We have afforded ourselves an enviable reputation within the industry and our established client base trusts us to accommodate their specific design, supply and installation requirements. Our highly skilled teams work efficiently to complete projects to the highest standards, first time. Over the years, we’ve become one of the UK’s leading drywall contractors by appreciating the importance of both speed and quality in equal measure. We are trusted by our regular clients to repeatedly deliver against programme time and budget constraints, while operating seamlessly with other interfaces on a project. Our clients depend on our knowledge and expertise to deliver ceiling solutions that create a unique environment. We combine technical proficiency and craftsmanship to meet the most exacting standards irrespective of scope and intricacy, from high volume metal pan installations to bespoke feature rafts. Our significant experience means we can offer a variety of ceiling specifications to accurately replicate architectural designs, regardless of complexity. 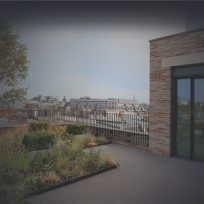 By working closely with architects to ensure both the performance parameters and aesthetic requirements are met, we give clients the confidence that conceptual designs will be accurately turned into reality. We provide clients with comprehensive solutions for glass wall requirements. We have strong long-standing relationships with a multitude of market-leading manufacturers and suppliers with a wide portfolio of glass wall products. Our experienced design and installation teams are committed to quality as well as project deadlines, so you can be confident that every job will be completed on time, and to the highest standards of fit and finish. ways to overcome project challenges. that nothing is missed; there are no surprises, good or bad. We are easy to work with because we are collaborative. We are accommodating of our clients’ needs. We commit to strict processes, the CDP, sustainability, ethics, deadlines, specifications and budgets; because we know we’re only as good as our last job. We don’t rest on our laurels. We’re constantly looking to improve our business. We’re good for our word. We won’t promise what we can’t deliver. Be it health and safety, the environment or charitable causes and community projects, we care about our corporate social responsibility. Parkrose provided us with an excellent joinery service at The South Hampstead project. 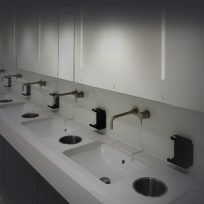 Timeliness, quality and attention to detail was first class and they were key contributors in this successful scheme. I was very impressed and wouldn’t hesitate to use them on future projects.